The pilots of many airlines have a procedural flow or checklist of items they review after the aircraft reaches cruising altitude. These are rarely documented in Airlines SOPs and even more rarely are they based on anything from the manufacturer. This is because fundamentally today’s airliners pretty much tell you what (it believes) you need to know, when (it believes) you need to know it when it comes to aircraft systems status. The pilots monitor fuel usage, flight progress, geographical situation with respect to enroute airports and the weather at those airports – but for the most part the aircraft keeps truckin’ on irrespective of how attentive the pilots are to the flight. Did I just write myself out of a job? Top of Climb checks are traditionally the domain of the Training Department. Often personal techniques spread across instructors and training departments until eventually most of the company is performing a drill based on a (perhaps) a relatively common understanding, but damn little basis in documentation. Generally this means crew are doing something they don’t really understand, and don’t really understand why – to the point where they become very serious and pedantic about it. Inevitably this results in a kick back and in a reactionary move the trainers are advised to stop teaching any form of top of climb checks since the manufacturer doesn’t specify one. This lasts for a while until someone starts doing one and it catches on through the students to other instructors and then to the line … and the circle of life goes on. 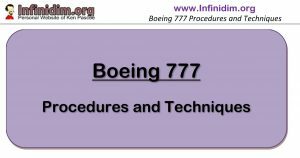 Boeing SOP’s don’t specify a flow or sequence required after Top of Climb (TOC). Many airlines develop their own SOP flow at TOC – V Australia has chosen to specify a recommended list of actions and considerations at TOC, as follows. The TOC Time/Fuel should be recorded expeditiously on the OFP against the appropriate waypoint. The enables the calculation of climb fuel/time and can be compared against ACARS Departure Report Takeoff Fuel to also calculate Taxi Fuel. 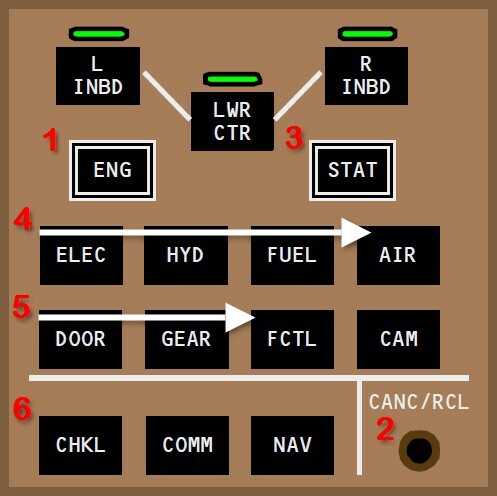 Note the Fuel On Board at TOC is not a particularly accurate reflection of fuel progress against Minimum Required fuel (MINR) – the first waypoint after TOC provides the first accurate indication of fuel status. Once the aircraft has stabilised in cruise, aircraft trim should be reviewed. It’s unusual for one of our aircraft to require more than one unit of rudder trim; but it’s not unusual for some rudder trim to be required. 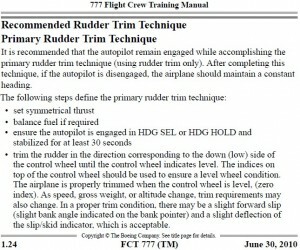 The FCTM provides two rudder trim techniques, the second of which is required in the event of excessive rudder trim or aileron displacement as the result of the first technique. 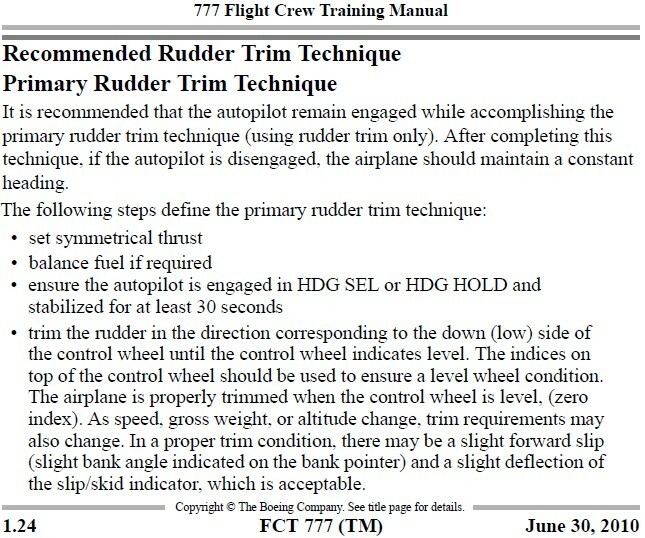 An excessive requirement for rudder trim should potentially be recorded in the aircraft maintenance log. As the aircraft burns fuel and progresses through the flight, trim setting should progressively be reviewed. The pre-flight environment is hectic and often time poor. The essences of the pre-flight documentation review is to ensure a legal and safe dispatch. The review of all Enroute Airport NOTAMS/Weather and FIR specific NOTAMS is not a requirement of this phase of flight. However once established in cruise, it’s crucial that the flight crew review completely all the documentation provided for the flight by Navigation Services. The impact of NOTAMS & Weather at non-EDTO airfields and FIR NOTAMS should be reviewed and if necessary notes made to provide this information to the relief crew for the next handover. Since it’s often NOT the Primary Crew who review Departure/Destination/Alternate Weather and NOTAMS during pre-flight – this is the time for those areas to be reviewed in detail to ensure nothing was missed. If desired, the PF can consider a system review of the aircraft at top of climb. It must be noted that this is for personal awareness only and is not a required procedure. When reviewing systems pages, you’re not expecting to see anything unusual – that should have been notified by EICAS. EFIS STAT review Status Messages. FMC VNAV ENG OUT Maximum Altitude/Speed for Enroute terrain awareness. After this, the FMC FIX and ALTN pages can be prepared for EDTO Alternates / Enroute Situational Awareness.